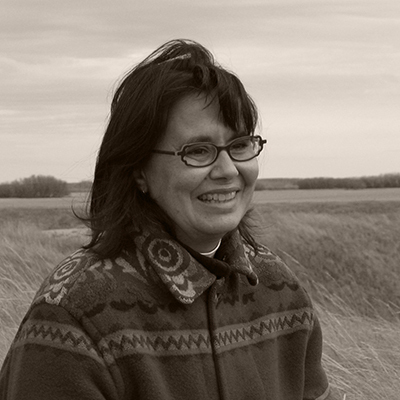 A Métis filmmaker born and raised in Regina, Christine Welsh began her film career as an assistant editor on Allen King’s 1977 dramatic feature Who Has Seen the Wind. She has since directed and produced her own work, films like Keepers of the Fire, Kuper Island: Return to the Healing Circle (co-directed with Peter C. Campbell), The Story of the Coast Salish Knitters and the feature documentary Finding Dawn. An Associate Professor at the University of Victoria, she also teaches Indigenous Women’s Studies and Indigenous Cinema.